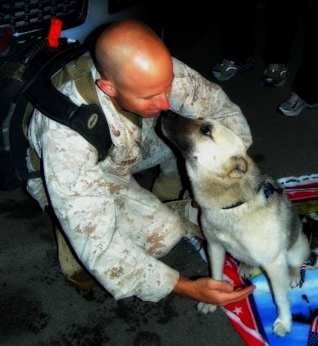 The story of Nubs and Marine Maj. Brian Dennis started in Al Anbar Province on the Iraq/Syria border when Dennis befriended the distinctive dog who’d had his ears cut off by someone to make him tough. Not to long ago I heard from Major Brian Dennis again. What a nice surprise! He’s back in Iraq for another tour and he offered to answer some questions. So I asked. A. Lot. Of. Questions. Maj. Dennis was super nice and found the time to answer all those questions. 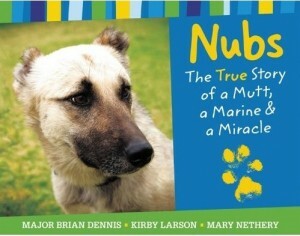 I’ll be posting the interview soon and give you the news on Nubs and on Maj. Dennis. 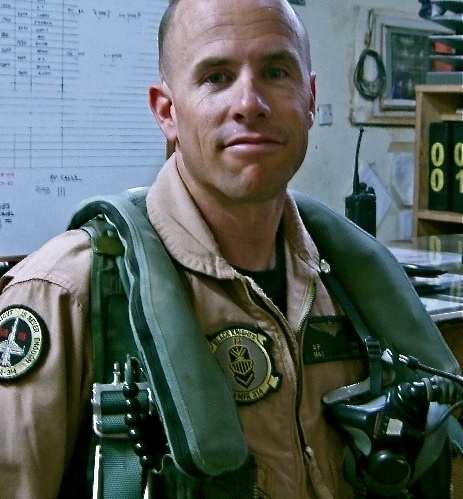 In 2007, Maj. Dennis and his squadron befriended Nubs for about 4 months. At one point Nubs showed up injured with what turned out to be a stab wound from a screwdriver. Dennis nursed the dog back to health, but then the squadron was informed they were moving. Two days later and 70 miles away, Nubs arrived at their new location having tracked them across the dessert while wounded in 18 F weather. After reading about Nubs’ life in Iraq and his amazing trek, I emailed Maj. Dennis to thank him for looking after Nubs and on the off-chance he might answer a few questions. And he was kind enough to write back and answer a few questions even though he was getting tons of attention from the big media outlets. Maj. Dennis arranged to have Nubs flown to the US and to stay with friends until he was back in the US and could care for Nubs himself. 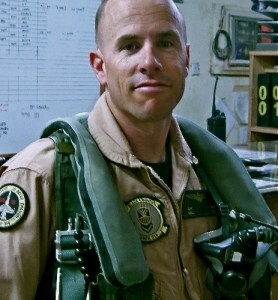 In March of last year, Maj. Dennis returned to the US and to Nubs. He was even on The Ellen DeGeneres show. I’m looking forward to a more regular posting schedule. Fall always puts me in the mood for DIY projects, so there will be DIY posts. Hope you’ve all had a good summer! There are so many celebrities & dogs in the news right now. None of it is good news for the dogs. Remember Michael Vick? The NFL player convicted of running a dog fighting operation? He gets to again play football for the Eagles in a couple of weeks. Animal lovers are understandably upset that he’s getting this second chance after brutalizing, exploiting, & terrorizing dogs for “sport”. See how some of the dogs rescued are doing today. Well, a Pennsylvania-based animal rescue group is pledging to donate 5 bags of dog food to a shelter in the opposing team’s hometown every time Vick is tackled. Nice! Jessica Simpson’s poor dog Daisy was taken by a coyote. 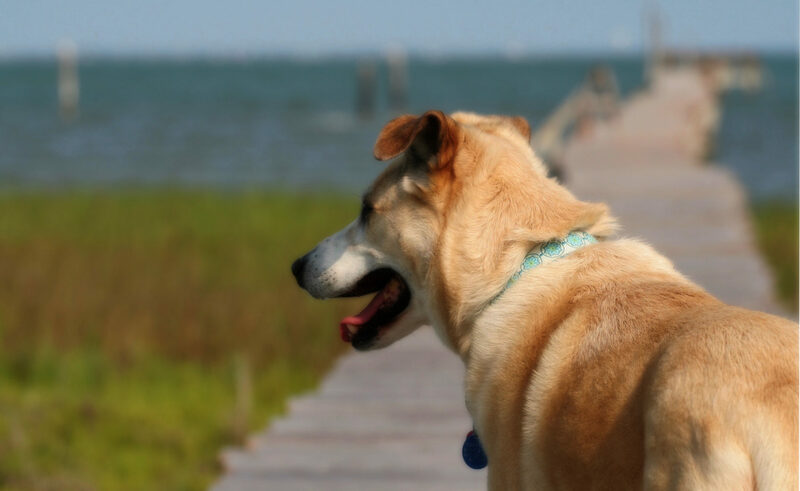 Here’s a good article on how to keep your pets safe from coyotes. We don’t have cable so I’ve mostly missed the Jon & Kate Plus 8 puke-fest. But, they got on my radar when the father Jon returned their two German Shepherds to their breeder. Disgusting. I hope these abhorrent people fade from view.